The Healing Bath™ is a Canadian wholesale/retail business that researches, prepares, manufactures, packages, labels and sells therapeutic Dead Sea Bath Salts and Dead Sea personal care products. We import the highest therapeutic grade of Dead Sea salts directly from Israel. All of our products contain Dead Sea minerals and most of our products are 100% natural. The Healing Bath™ lists ingredients with each product description so you know exactly what you’re getting. In our scented Dead Sea salts, scrubs, soaps, lip balms and Wellness Gel, we use only 100% natural essential oils. We also carry a selection of fragrance-free products including scent-free bath salts, Dead Sea mud, a facial cream, eye gel and body cream. The Healing Bath™ does not use fragrance oils, synthetic fragrances, fragrance, parfum, “aromas”, masking agents or “natural fragrances” . Our products are not “vanity products” but products that will truly help you Change The Way You Feel™ by alleviating and relieving a wide variety of ailments. MINERAL COMPOSITION is the key criteria that determines the therapeutic value of Dead Sea Bath Salts. Dead Sea Bath Salts sold by The Healing Bath™ and incorporated into our products are independently tested to verify their mineral composition. See: >Dead Sea Bath Salts >> Mineral Composition on our site. The Healing Bath™ ships Dead Sea Salts and all of its products across Canada and the United States. Orders are processed and shipped the next business day. Our retail outlet is located at St. Jacob’s Farmers Market — Farmer’s Market Building (2nd floor), open at 7:00 a.m. Thursdays and Saturdays. (With the exception of 55 lb. bags of Dead Sea Salts — online orders only) our full product line is available for purchase including several products and sizes not listed online. St. Jacob’s Farmers Market is located in Kitchener-Waterloo and is within easy driving distance from the GTA. London residents can buy our products from Nutrition House at Maisonville Mall. If you live in Stratford or close by, The Gentle Rain on Rebecca Street carries some of our products. If they don’t have what you want, they’ll gladly order it for you. 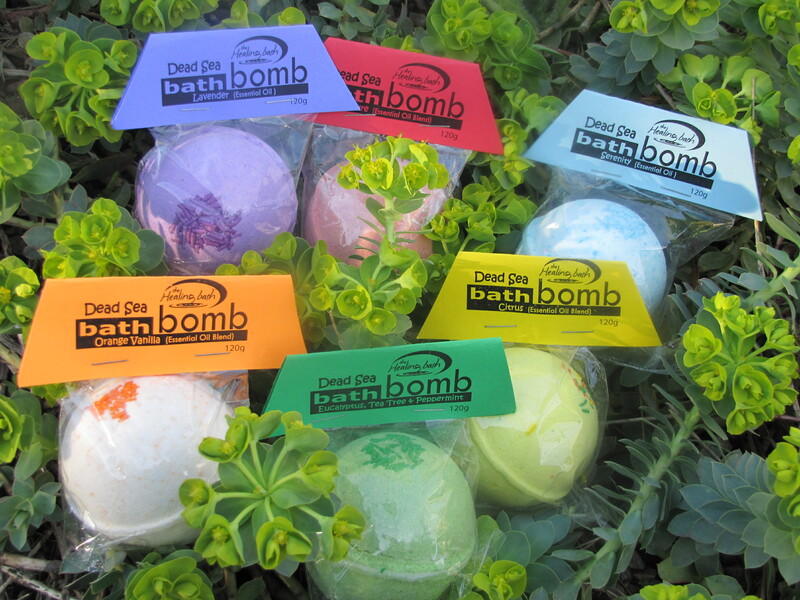 Scroll down and click on Retail Partners to see if there’s a store near you that carries The Healing Bath™ products. If you’d like to buy The Healing Bath™ products from your local retail store, please ask them to give us a shout and we’ll send them a wholesale price list. The salts are an amazing product! I use them everyday for back pain. They do not dry out your skin, you feel relaxed after your bath. I travel with my salts!! I have psoriasis on my feet and hands. Your salts are doing a wonderful job at healing my skin. They are so nice now that I sometimes forget to put cream on them, and my itching has almost disappeared. Thank you so much.